Israel will build 50 new homes in an existing West Bank settlement as part of a wider plan to absorb residents slated to be evicted from the illegal outpost of Migron. 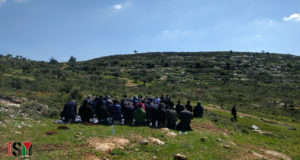 The complete plan calls for the construction of 1,450 homes in the settlement of Adam. The State Prosecutor’s Office informed the High Court on Friday that 190 housing units will be built in the settlement of Adam in the first stage, in accordance with the plan, which was approved by the Defense Ministry in May. However, only 50 of the units can be erected without further approval from the ministry. This number does not include public buildings and roads. 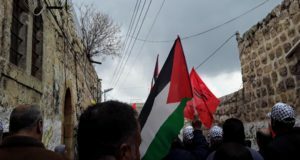 “The understandings to advance the construction were examined by the political echelon, Yesha Council of settlements representatives and settler leaders in Judea and Sameria,” the state wrote, referring to the West Bank. News of the plan emerged shortly before Defense Minister Ehud Barak set off for the United States Monday in a bid to end a quarrel with U.S. President Barack Obama’s administration over Israel’s refusal to completely halt West Bank settlement construction. A media advisor to Barak denied the report of a plan to build 1,450 new homes. 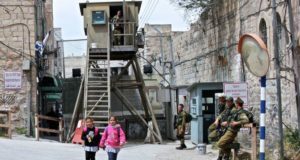 “The Defense Ministry approved the construction of 50 housing units only in the community of Adam, which will serve the evacuees from the settlement of Migron,” Army Radio quoted the advisor as writing.